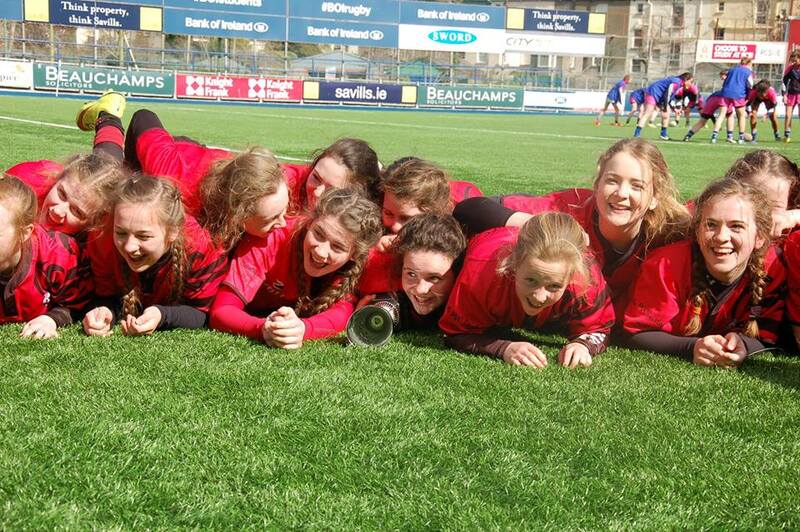 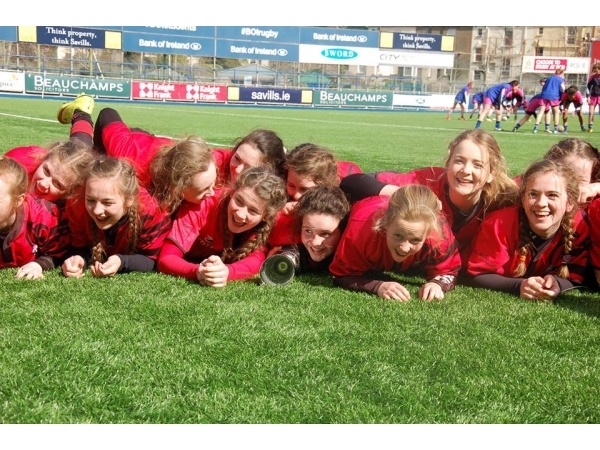 Tullamore U15 Girls – Leinster Plate Champions. 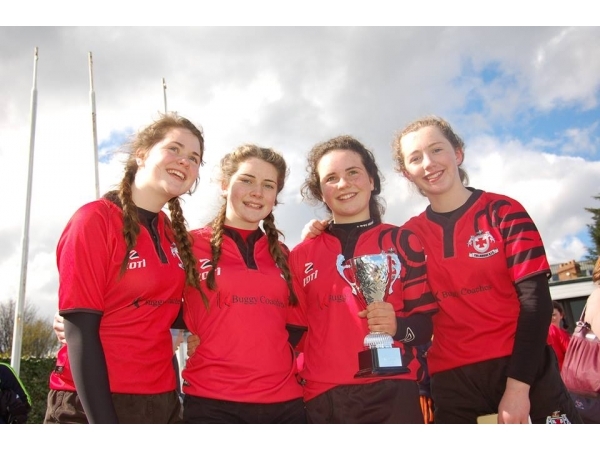 Tullamore 45 – Clane 21. 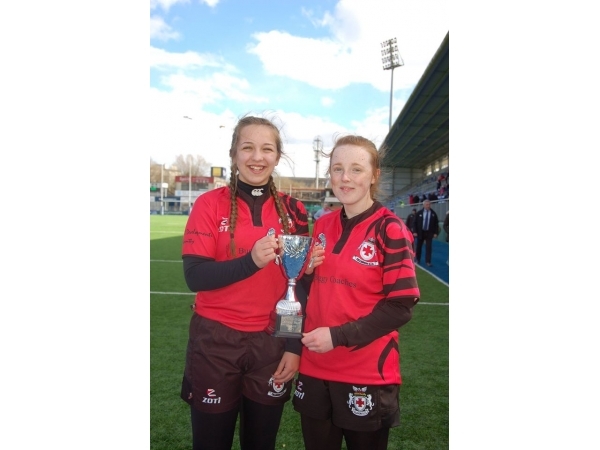 On a very exciting day in Donnybrook, the home of Leinster Rugby, the best of girls rugby was on display with the finals of Girls U15 and U18s . 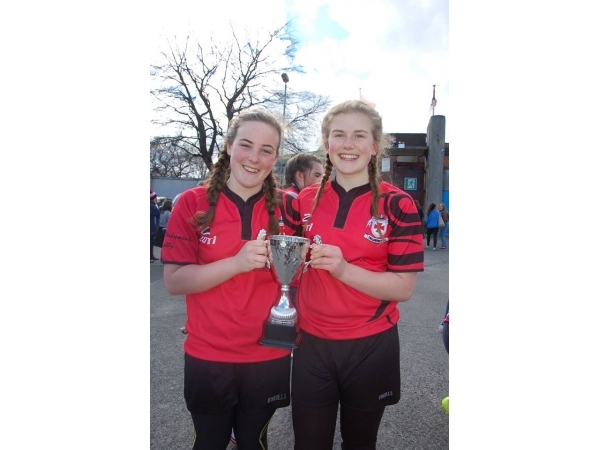 Comments could be heard all over the place by excited supporters that the standard was very high and that women’s rugby was in safe hands. 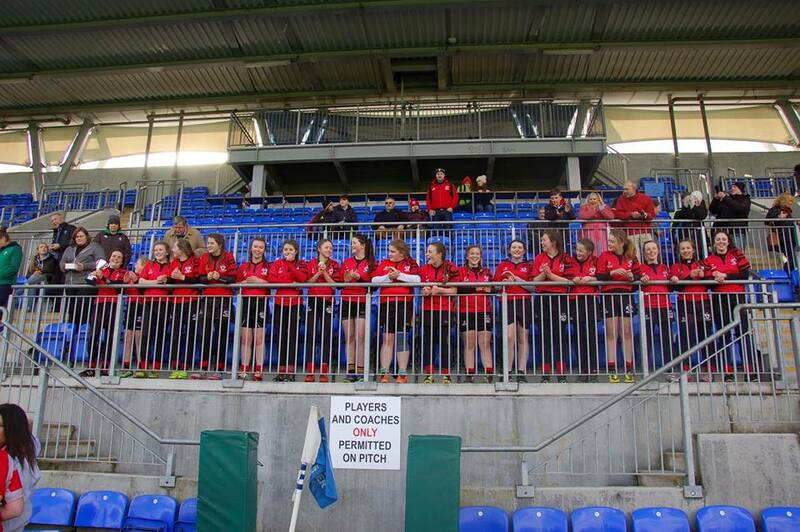 Twelve teams took to the hallowed ground and Tullamore brought home two pieces of silver-wear on the day. 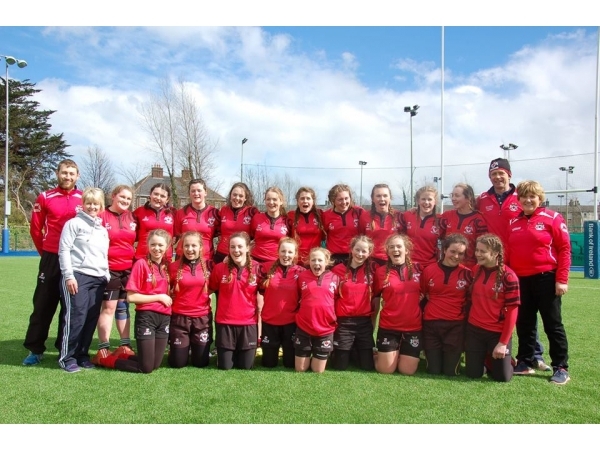 Tullamore U15s girls came out to lovely sunshine and big support and kicked off at 1.30 p.m. against a much fancied Clane team. 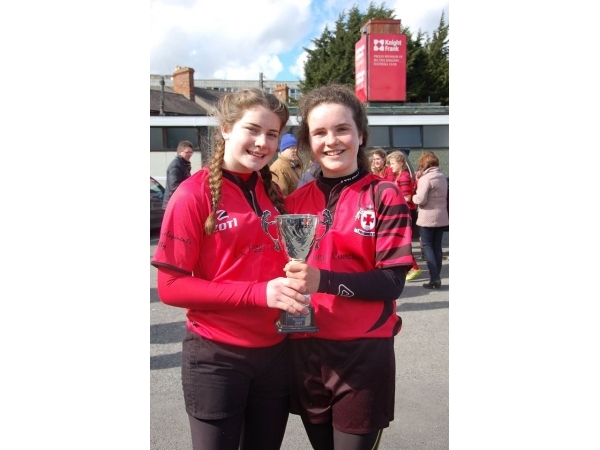 The Clane girls exerted good pressure on Tullamore and it took the Tullamore girls a little while to get their bearings. 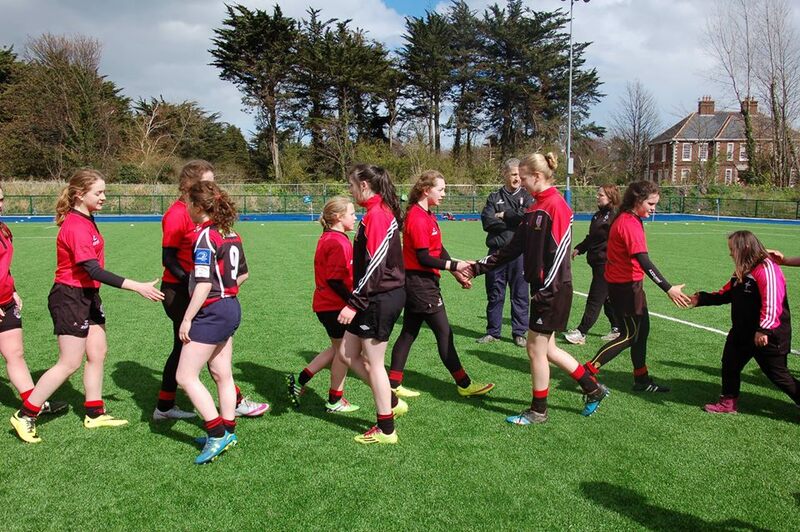 However once they settled down and with some super tackling by the Tullamore pack and backs, Tullamore started putting pressure on Clanes defence. 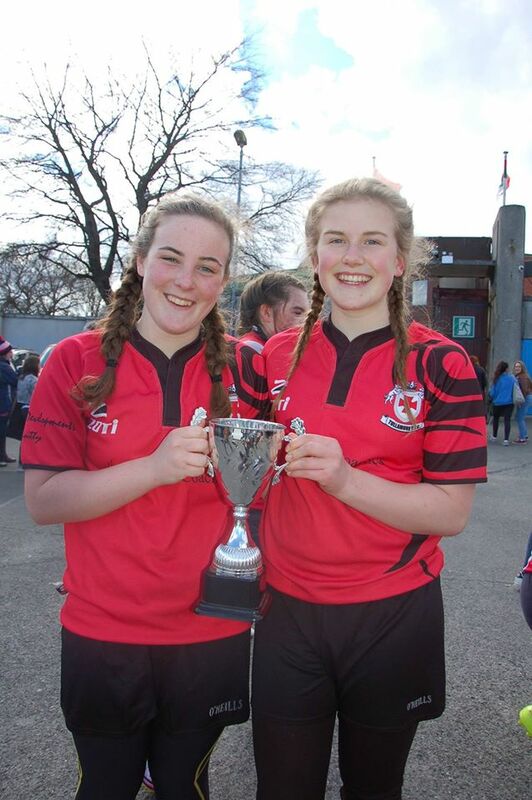 Tullamore were winning the ball up front and with some excellent kicking into the corners by out-half Emma Kelly and great ball handling by Ciara Miller and Phoebe Ravenhill and their speedy wingers of Aine Mooney and Erin Daly they picked up six tries in the first half. 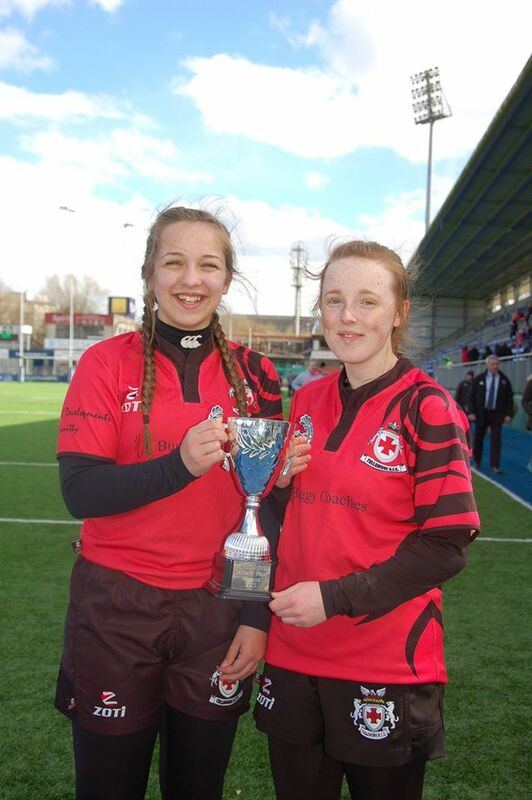 Full back Therese Robbins used her speed and crafty side step very well to get through the oppositions defence. 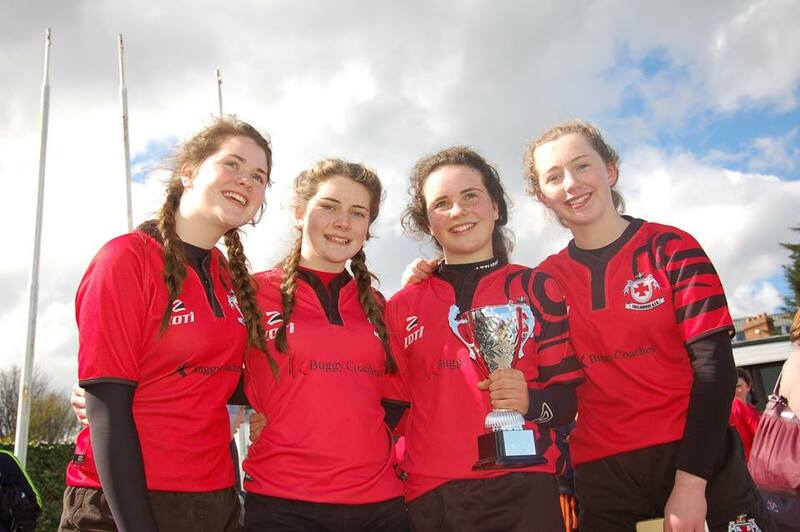 Forwards of Eimear McElligott, Leah Duffin and Alex Colton with the help of Hannah Foxe, Aoife Bourke and Saoirse Quinn were winning the contest for ball in the rucks and Rose Dunne, newly promoted to scrum half, who stepped in for the absent Rosie Kelly for the day, passed very well and gave great options to the speedy backs. 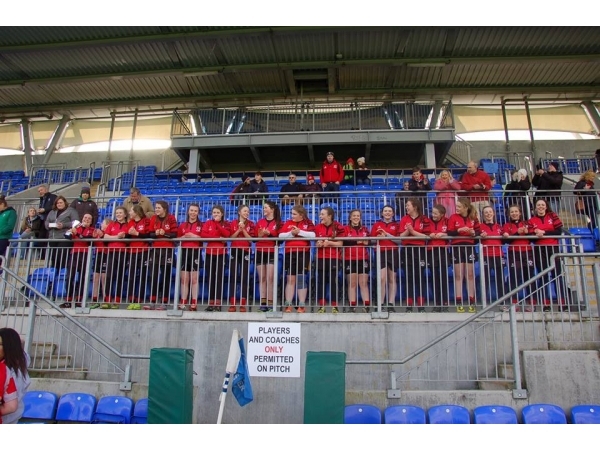 Tullamore emptied their bench of Albha Oman, Aoibha Waters, Anna McDermot, Roisin Kenny, Emer Heeney and Aisling Flaherty early in the second half and managed to score three more tries. 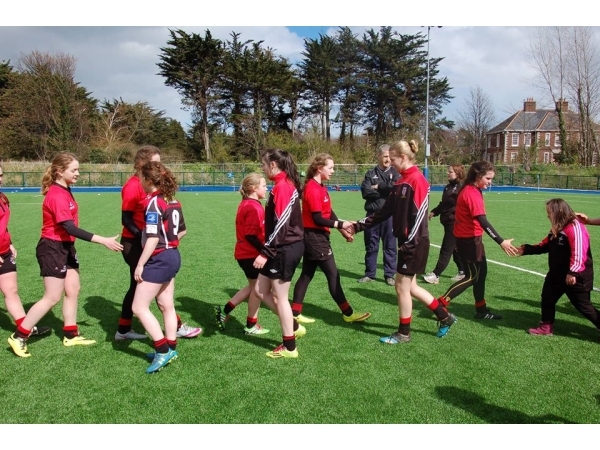 However Clane were not prepared to give up and put some very good phases together and scored 3 converted tries of their own. 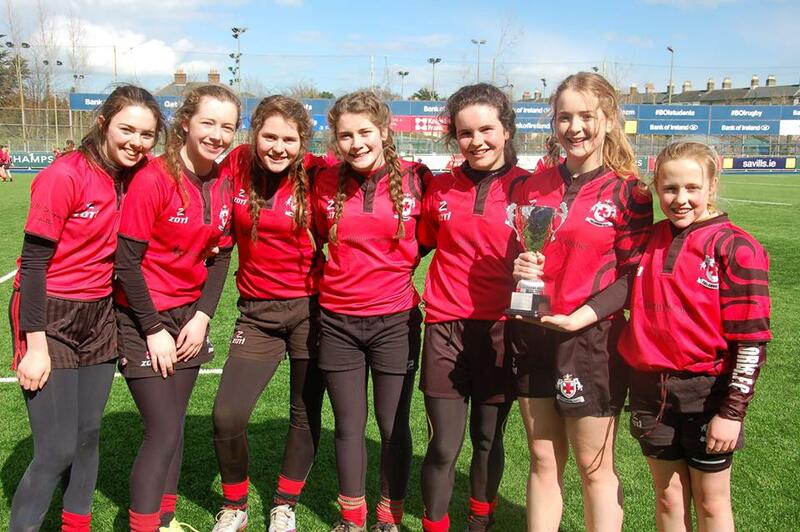 This was a great team performance with very good skills on display. 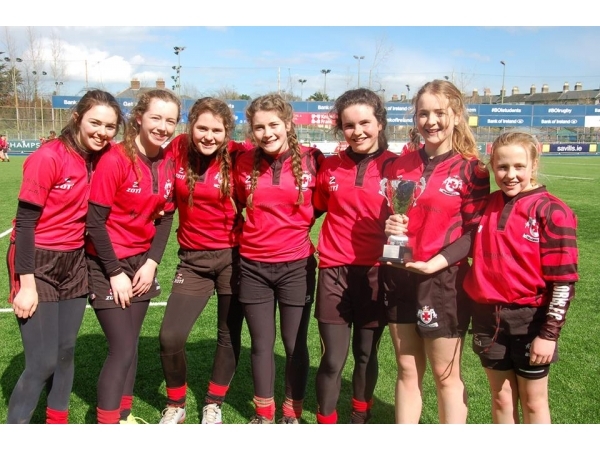 Most of these girls are new to rugby and made huge progress in the season and have a great and exciting future ahead of them. 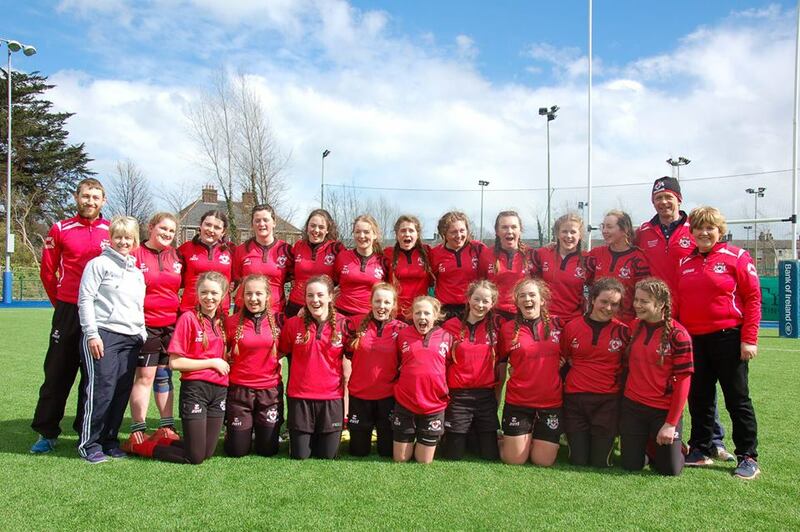 A huge well done to coaches Nigle Ravenhill and Glen Bagnall and manager Susan Bagnall and Grainne Waters. 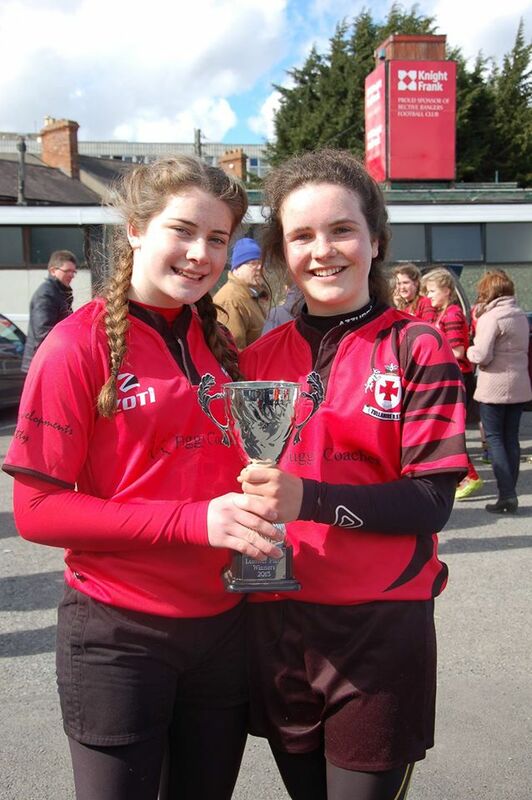 Squad Aoife Bourke, Alex Colton, Erin Daly, Leah Duffin, Rose Dunne, Hannah Foxe, Aishling Flaherty, Emer Heeney, Emma Kelly, Rosiin Kenny, Rosie Kelly, Eimear McElligott, Anna McDermot, Ciara Milner, Aine Mooney, Albha Oman, Saoirse Quinn, Phoebe Ravenhill, Therese Robbins and Aoibha Waters.